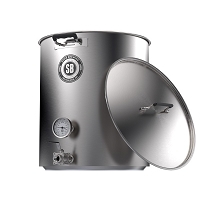 This is Bayou Classic's SP10 high output burner, will certainly get your boil kettle up to a boil quickly. 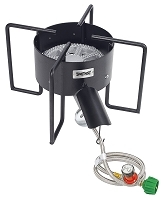 Includes their BG10 high pressure burner, with a propane burner pre-set to 10 PSI. With a 14" diameter cooking surface, this burner is ideal for kettles of 10-gallon and under size. 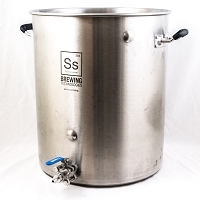 Includes a 48" stainless braided hose and 360 degree windscreen protection, with a wide-leg design for stability. 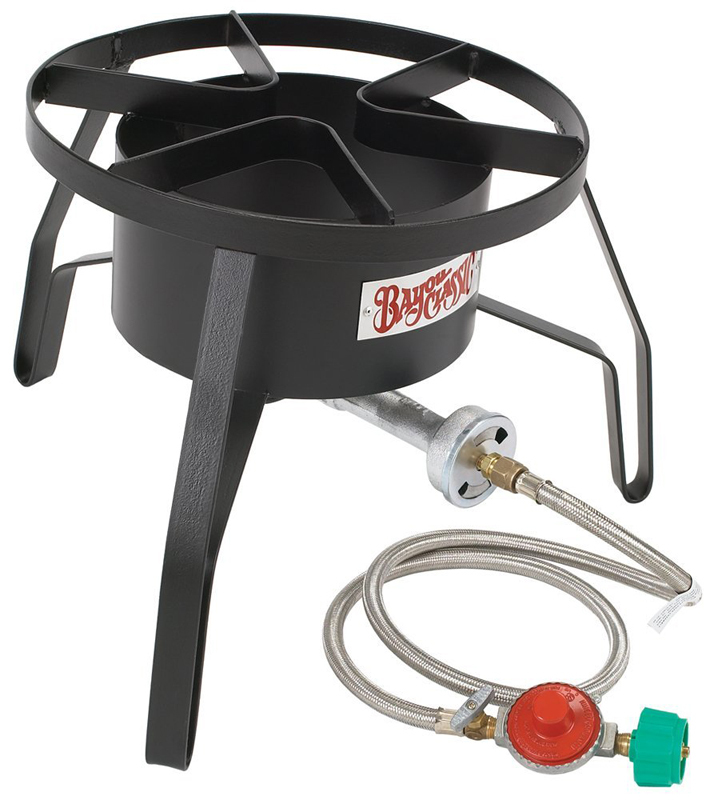 This burner is rated to fit kettles up to 25 gallons in size, although for kettles larger than 10 gallons you may prefer their larger KAB4 Banjo Cooker.